Koi are colorful members of the Cyprinid family, closely related to goldfish, and descended directly from various species of wild carp. They are one of the first known species of aquatic life to be kept as pets. Documented evidence of the first koi ponds date back as far as the 1600s. Adult koi are relatively hardy fish. They can survive in cool temperatures, and do well in a variety of indoor and outdoor environments. These fish have a lifespan of over 20 years, and can reach lengths of 25 to 36 inches. 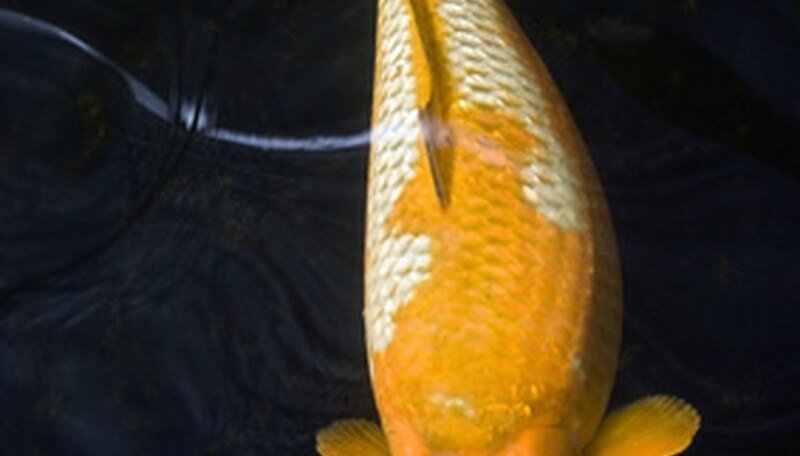 It takes approximately a year for eggs to fully develop within the female koi. Eggs formed in the spring of the first year will be dropped in the spring of the following year. The eggs produced by the female are not fertile. The male of the species releases sperm onto the eggs after the female has dropped them. After the spawning has taken place, new eggs will begin to form. These eggs will be released during the next year's spawning. Egg production within the female of the species reaches its peak when the fish is four to six years old. Males are considered sexually mature at three to five years of age. While it is quite possible for fish that are both older and younger to spawn, fish within these age ranges generally reproduce more successfully. In the wild, members of the Cyprinid family may spawn anytime from early spring to mid summer. The spawning behavior is triggered by environmental conditions, such as rising air and water temperatures, as well as prolonged daylight hours. The optimal water temperature for spawning is 68 degrees F, although the fish may reproduce even if this temperature varies by a few degrees. Prior to spawning the female fish will appear swollen around the abdominal area. This is a sign that the eggs within her have reached the appropriate size for fertilization. Around this time the male koi will appear slim, and may display enlarged pectoral fins. 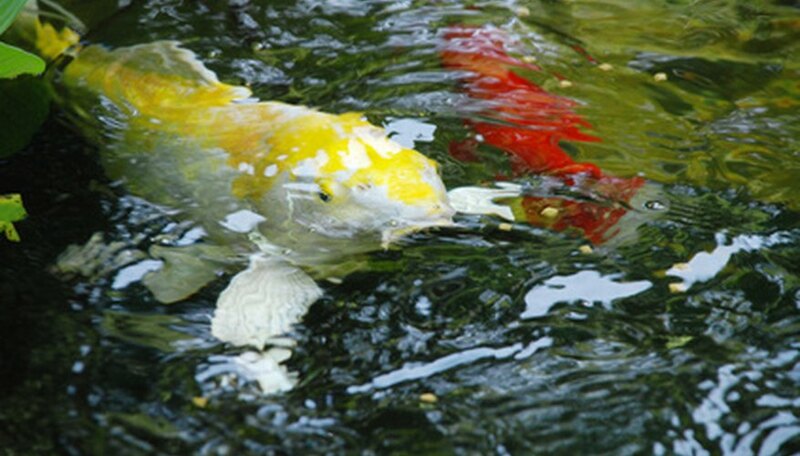 In a pond setting, koi will breed as a flock, or group. If sexually mature males and females are present in the flock, and if environmental conditions are met, spawning will happen spontaneously. 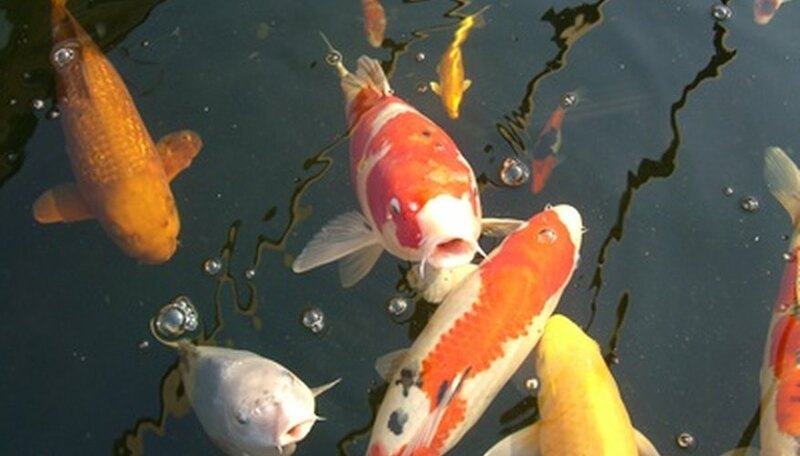 During spawning the male koi will become extremely aggressive. 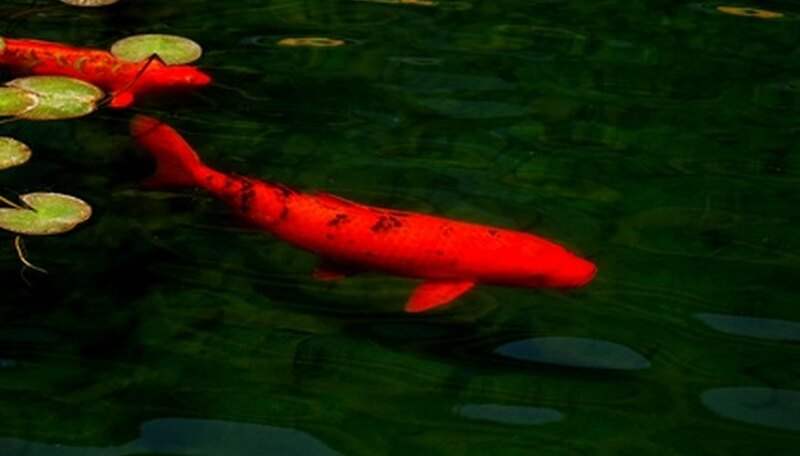 Male fish will pursue the female koi around the pond, smashing into them repeatedly. This battering behavior is designed to force the eggs from the female's body. Once the female has dropped the eggs, the male will spray them with his sperm. Depending on the number of sexually mature fish present in the flock, as well the condition and fertility of the fish, a flock spawning can result in thousands of eggs and fry. The adult fish will eat many of the eggs, however, if precautions are not taken by the keeper. The eggs that remain will hatch in four to five days. Young koi are known as fry. These tiny fish will also become food for larger fish, unless they are able to find a suitable place to hide. 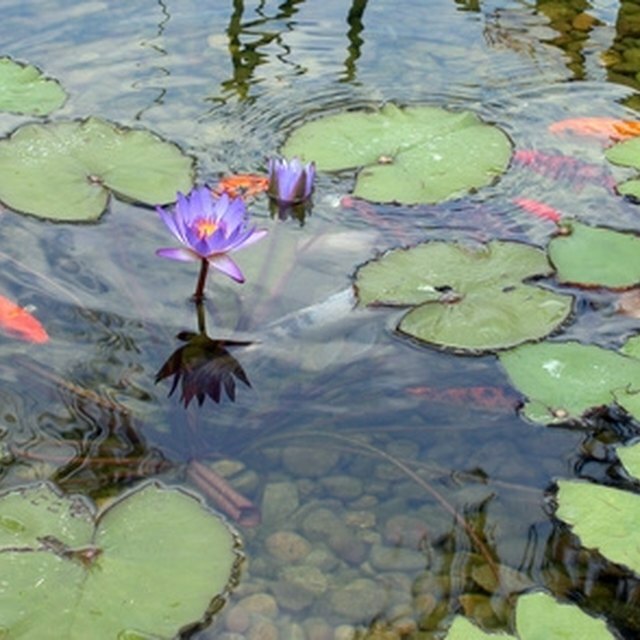 Suitable hiding places for koi fry might include rocks and crevices, or areas of vegetation. If these conditions are present in the outdoor pond, some fry may survive to maturity. 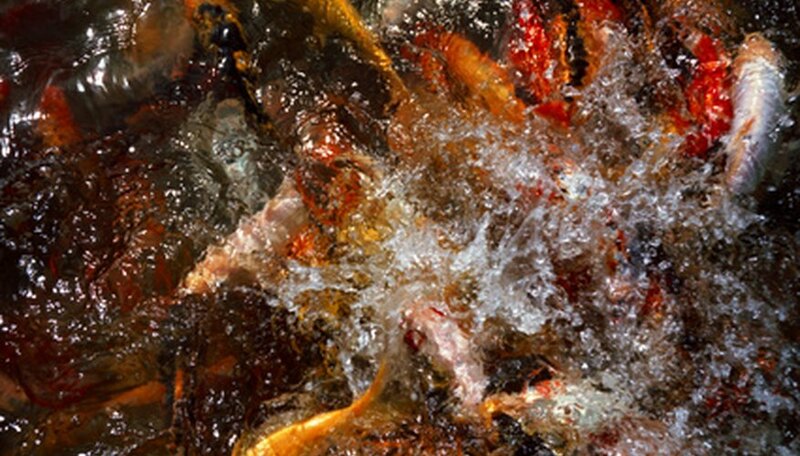 Koi fry will do best in an unfiltered, untreated outdoor pond. While many koi pond enthusiasts prefer very clear, pristine water, this environment does not provide ample food for young fish. The microscopic organisms necessary for the undeveloped fish to feed are destroyed by water treatments and filtration. Filtration systems also present the risk of filtering the eggs and young fry, along with other debris, destroying them in the process. Flock spawning presents some amount of risk to the fish, especially the females. The aggressive behavior of the males during the spawning process can cause varying degrees of injury. Loss of scales on both females and males is one common form of injury after spawning. While scales grow back in a relatively short amount of time, this condition may cause fish to be more susceptible to parasites and disease, while the scales are mending. Permanent scarring of fish can also happen after a flock spawn, in an outdoor pond. 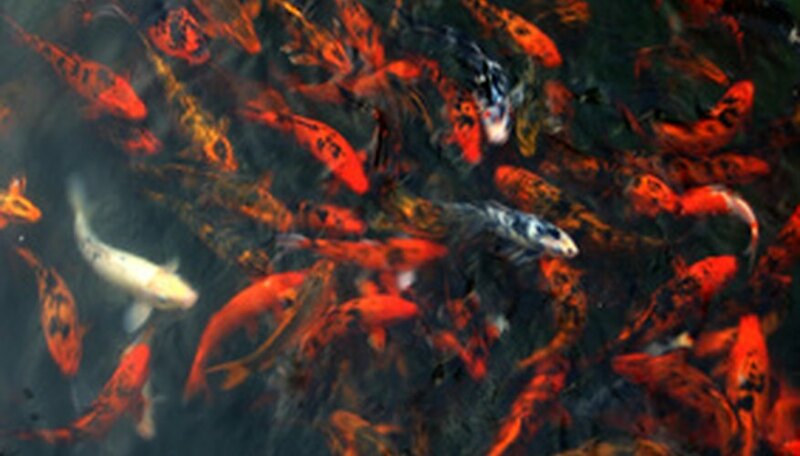 Because of the aggressive nature of the males during spawning, many pond owners prefer to keep their valuable fish from participating in flock spawns. This can be done by keeping pond temperatures low, and keeping ponds shaded or covered for several hours during the day. Since temperature and light play key roles in triggering the spawning process, controlling these forces can help keep fish from initiating spawning behavior. Another alternative is to have female fish eggs stripped and fertilized in a controlled setting. This is the preferred method of reproduction among most professional koi breeders. Morris, Randa. 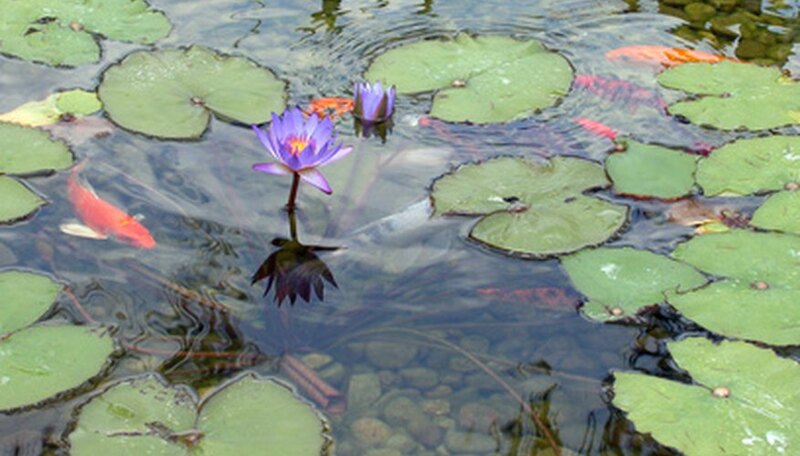 "How Do Koi Fish Reproduce in Freshwater Ponds?" Sciencing, https://sciencing.com/do-fish-reproduce-freshwater-ponds-6630942.html. 25 April 2017.